SAN DIEGO, CA & DUBAI, UAE January 20, 2015—DivX, LLC, a leading provider of next-generation digital video solutions, and Altech Multimedia, a provider of products, professional services and competitive solutions to the digital multimedia broadcast and broadband industries, today announced a new agreement to license and integrate DivX Plus® HD and DivX® HEVC technology into its upcoming set-top boxes. The devices will be made available to consumers globally through retail and operator channels, thereby enabling the high-quality playback of 4K video in the living room. This agreement between DivX and Altech helps strengthen DivX’s position in the Asia Pacific over-the-top (OTT) market by ensuring a large footprint of devices capable of securely playing back high-quality, highly efficient DivX video streams. Launching in early 2015, the first retail device from Altech to undergo the rigorous DivX Plus HD Certification process is based on BCM7241, Broadcom’s high definition (HD) IP set-top box SoC. The next model based on BCM 7252 will be certified for DivX HEVC Ultra HD, and is currently slated for launch in mid-2015. “Altech Multimedia is helping to extend DivX’s value to more and more consumers around the world. Their investment in our technology shows pay TV operators, OTT providers and even traditional service providers that DivX can enable their premium entertainment services on virtually any screen,” said DivX President and CEO Dr. Kanaan Jemili. “We are thrilled to announce this partnership with DivX and to show our operator customers that we are prepared with best-in-class solutions—both AVC and HEVC—for premium over-the-top video services,” said Marco Caputo, Altech Multimedia’s VP of Sales and Marketing. The DivX HEVC solution is designed to accelerate the adoption of the latest compression standard. DivX Certified® devices for HEVC will support DivX DRM and an advanced feature set for media playback including multi-language subtitles and audio tracks, trick-play track for smooth fast forward and rewind, chapter points for quick scene navigation, and resume playback across devices. 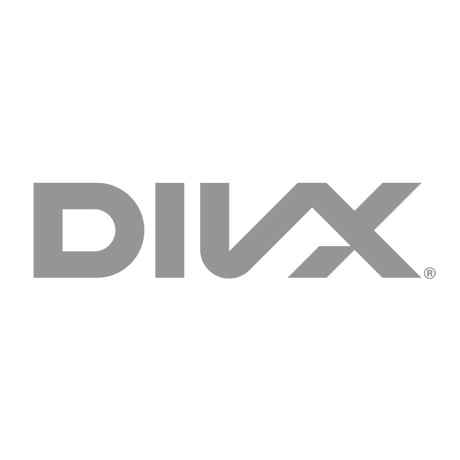 In 2014, DivX received a Best Ultra HD Codec award from Ultra HDTV Magazine for its DivX 10 software and MainConcept HEVC SDK.